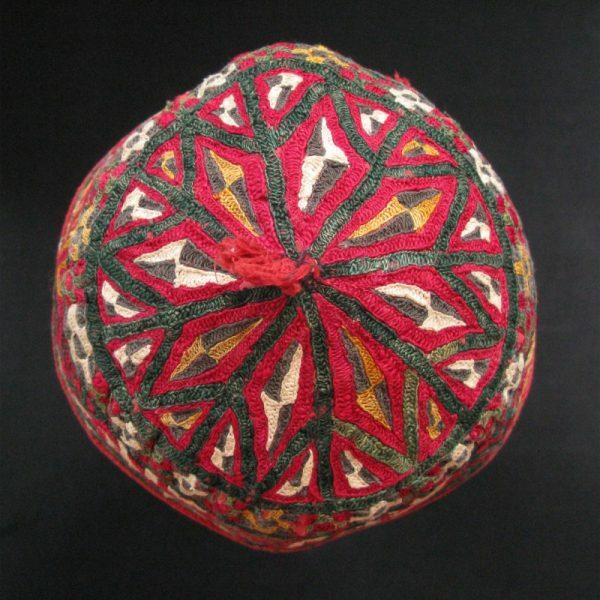 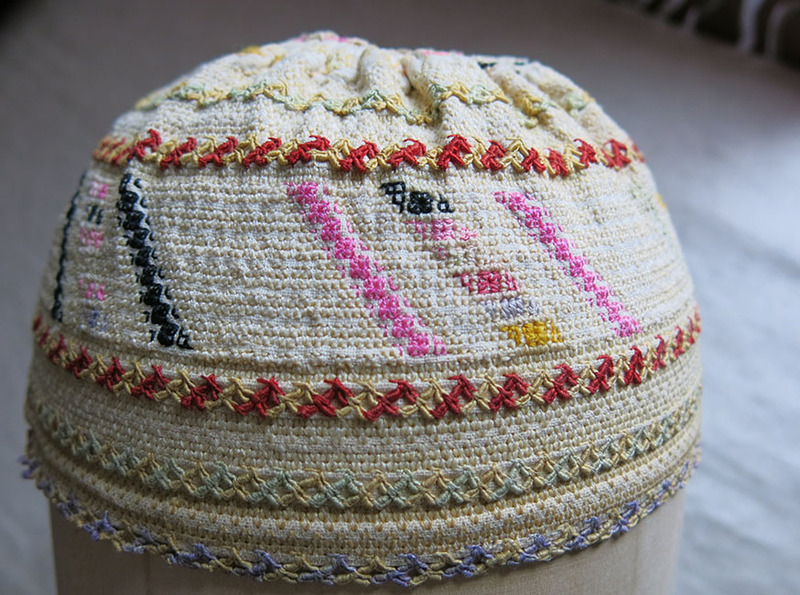 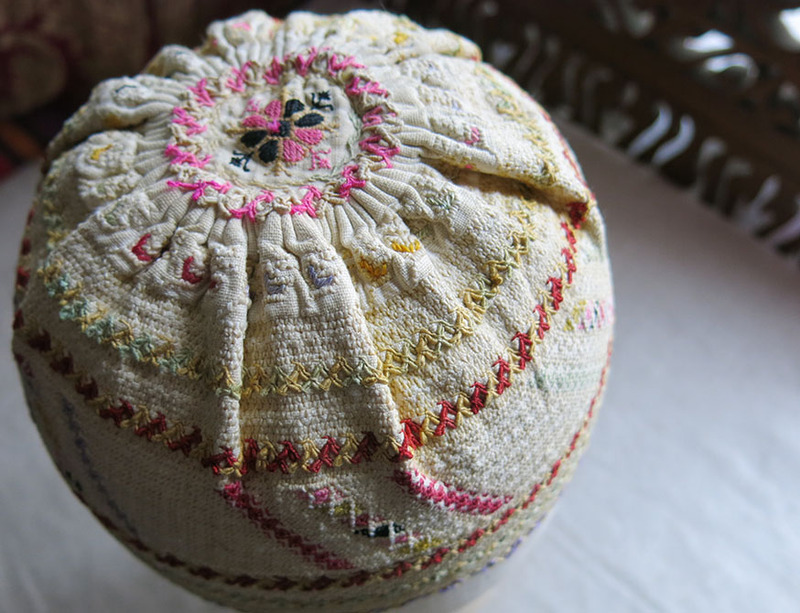 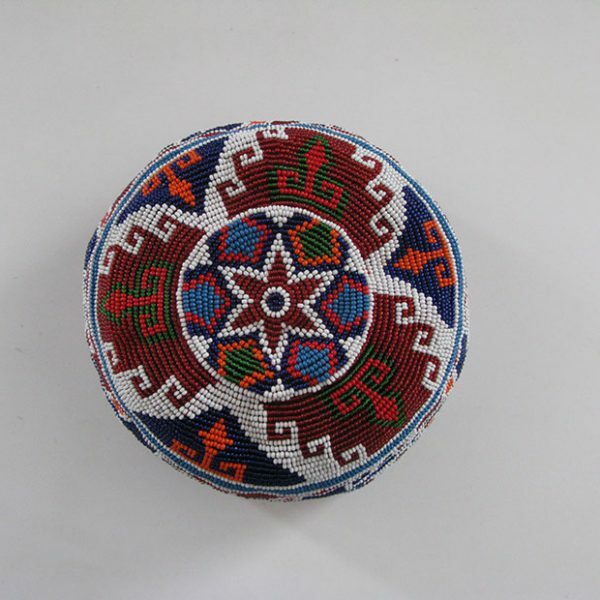 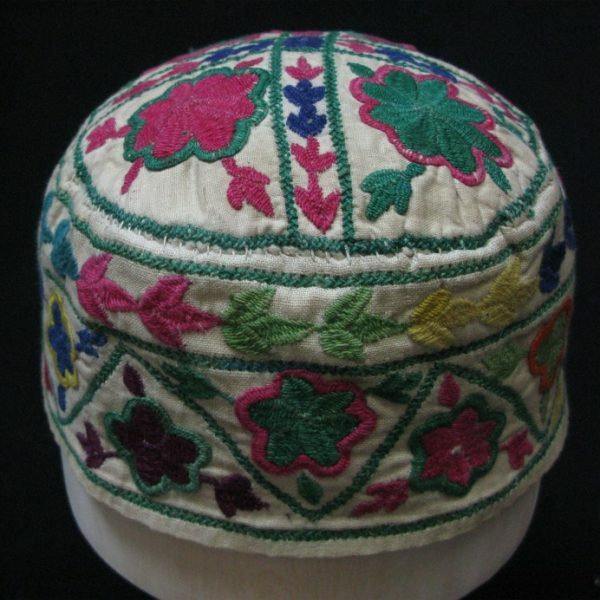 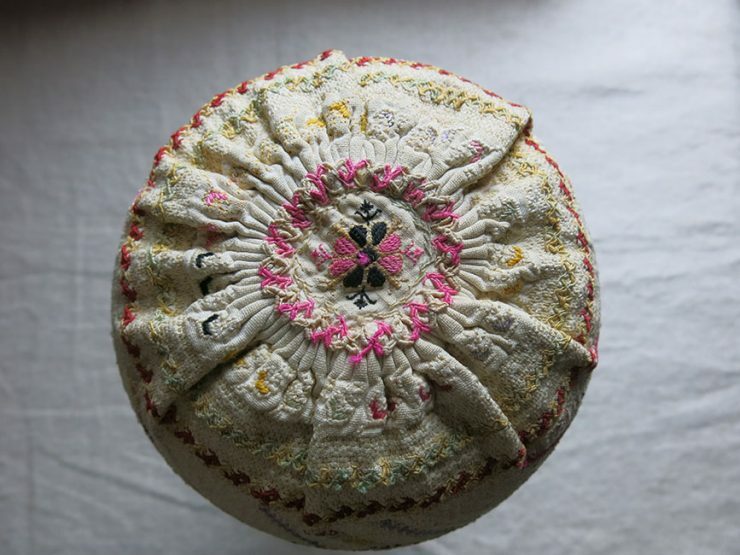 SYRIAN SILK EMBROIDERED ETHNIC HAT. 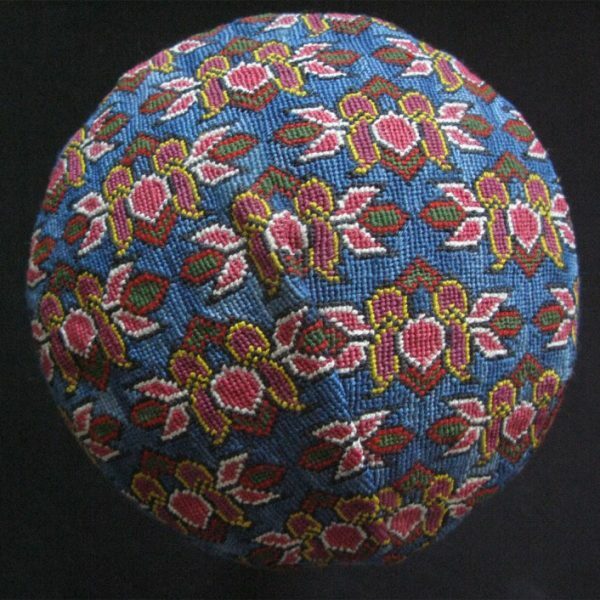 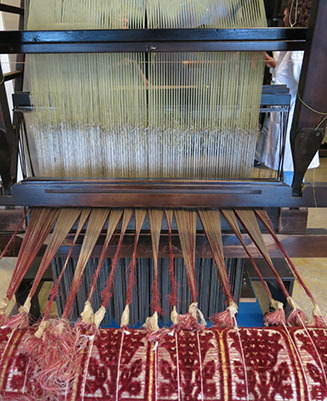 Silk embroidery on hand loomed cotton. 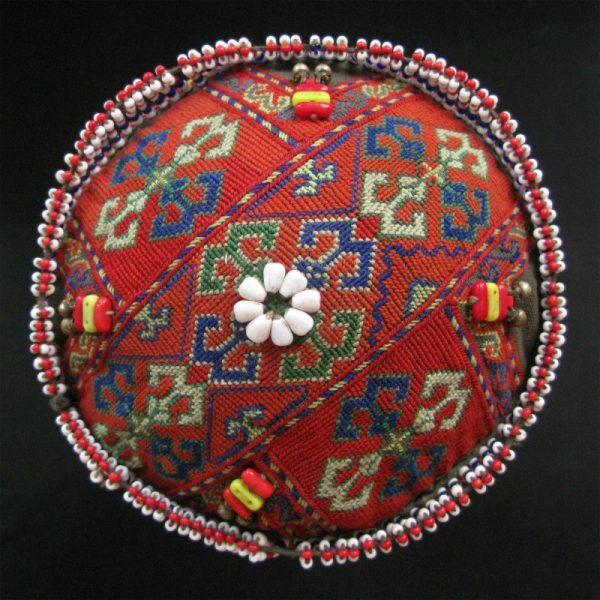 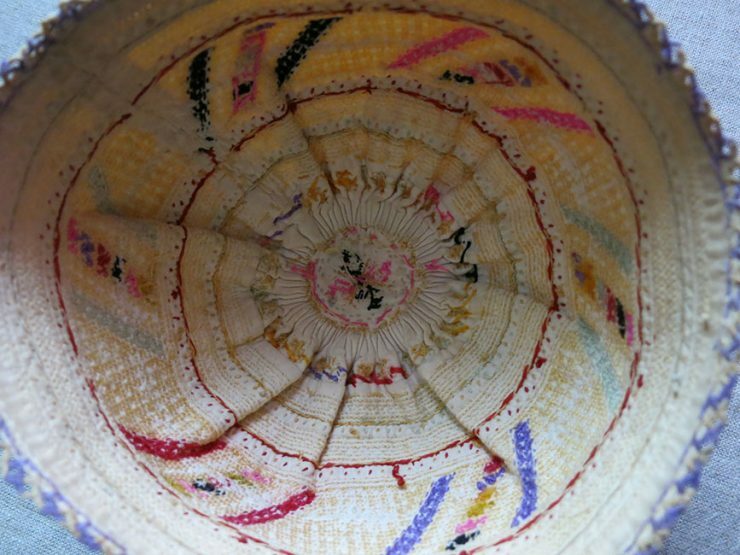 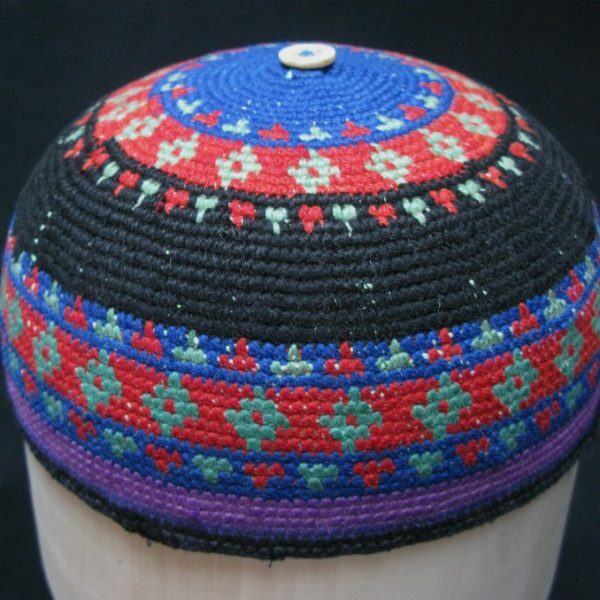 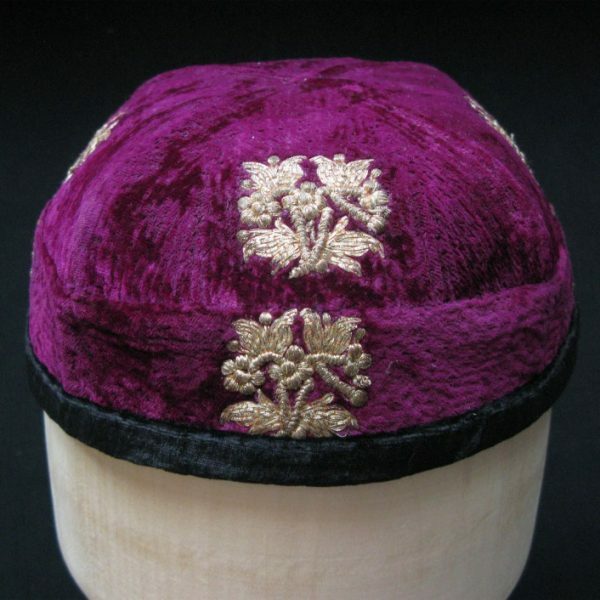 A unique style workmanship on this ethnic hat. 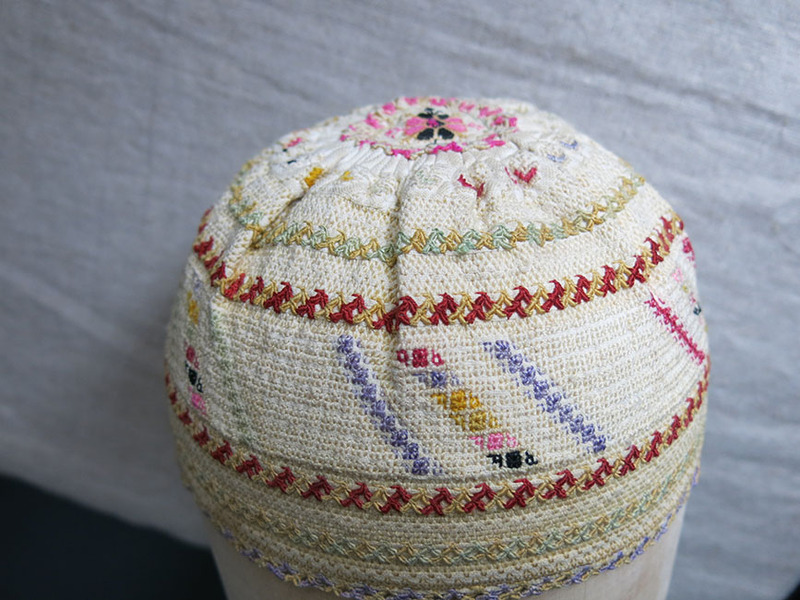 Colors indicate that it must be feminine. 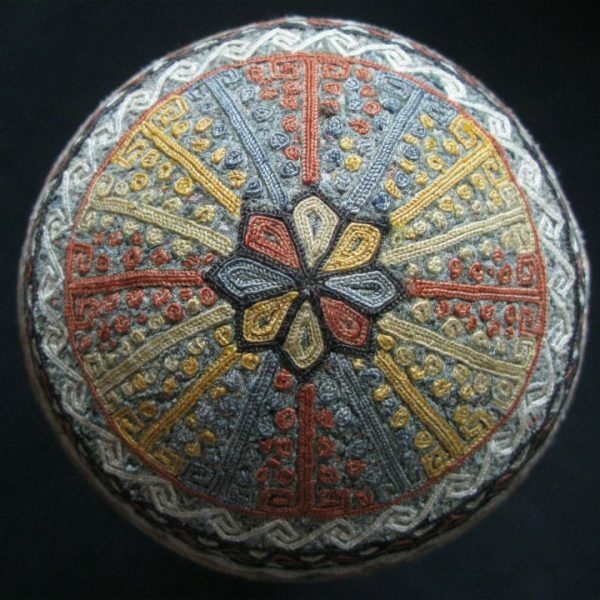 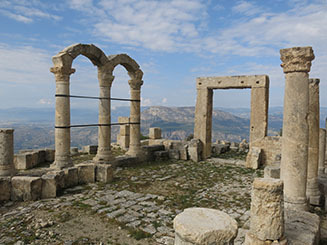 It has patina from use and in very well condition.